If you are looking for a business which you can start with low investments in Jaipur then, you should invest in food business. Food business is a business that can start investing low capital and also it ensures constant source of income. So, if you want to start your own business then, Chaat Ka Chaska food franchising is the best opportunity for you. Chaat Ka Chaska is a venture of Brewbakes Cafe, India’s leading franchiser of coffee shop business. Chaat Ka Chaska ensure full franchise support, extensive marketing strategy and solid business plan for the growth and profit in the business. So, grab the opportunity of Chaat Ka Chaska street food franchising business in Jaipur and become your own boss. Why Chaat Ka Chaska Franchise in Jaipur? Jaipur is the largest city and the capital city of the state Rajasthan. The pink city is the major sightseeing tourist destination in Rajasthan and India. Jaipur is famous for its majestic forts and palaces and the most famous fort in the vicinity is Amer Fort. The top attractions of Jaipur are Hawa Mahal, Jantar Mantar, City Palace, Albert hall Museum, Nahargarh Fort, and many other Bazaars of Jaipur. One of the best thing about Jaipur is that it has many vibrant markets that attracts a large number of people. The tourists love to shop from nearby shops. They visit the super market for purchasing clothes, home decor item and much more. These super markets remain open till mid-night and having a food restaurant at such places can be a profitable venture for you. These tourists can be your potential customers. 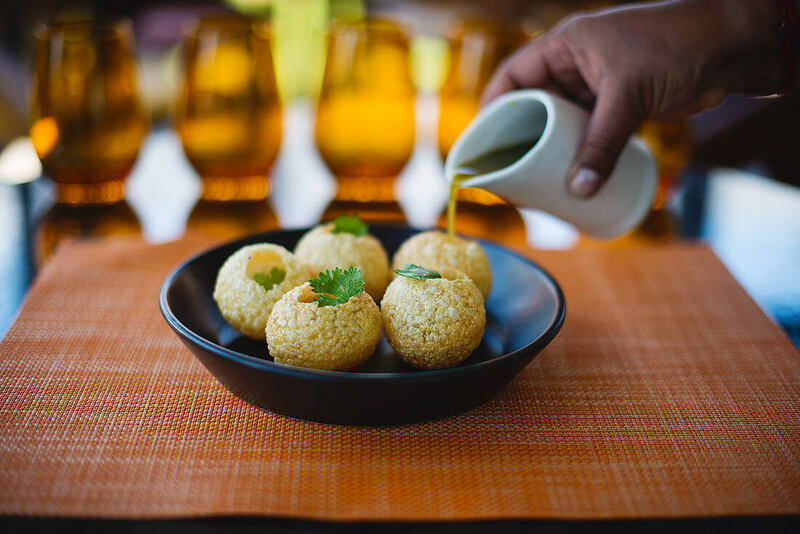 When the tourists will get tired while shopping then, they can visit Chaat Ka Chaska street food cafe where they can enjoy delicious street foods like Golgappa, Chaat, Tikki, Bhelpuri and many other delicacies. So, opening Chaat Ka Chaska street food franchise store in Jaipur will be a wise decision and profitable venture for you. Schools, colleges, universities, educational institutions and research centers are considered as some good locations for coffee shop or food business. You can take benefits of traffics by setting up your street food store at and around one of these places. Jaipur has long been an important seat of education in India. It is home to many prestigious educational institutions including schools, colleges, universities and research centers. Moreover this, the city is well famous for the textile industries. The colorful designer clothes of Jaipur is world famous. So, due to these industries and educational institutions it is home to many professionals and students. And along with tourists they can also be your potential customers. If you want to have your own business in Jaipur then, you don’t miss the Chaat ka Chaska chaat and street food franchise in Jaipur. We provide excellent franchise support in Jaipur with pre-opening support, extensive training prograame and solid business plan to get high-growth and high-profit in the business. So grab the opportunity to become the member of India’s leading brand and food business family.